Connect with our friends and associates! Dan Pardo is our good friend and particularly talented pianist with a comparatively new skill on anglo concertina. 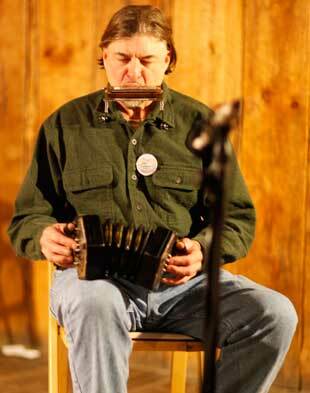 He often joins us behind the mic to back us up with that squeezebox and will sometimes even lead us in a rousing song! Stan Hugill, passed back in 1992, was the last of the known actual deep-water chanteymen, having served aboard ships in that capacity. He has written several books which provide an authoritive resource for the songs we sing and their uses. He lived a full and colourful life and we heartily encourage you to visit his site to read more about the man/the legend. 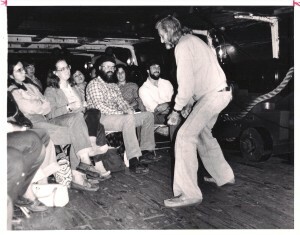 Stan Hugill giving a spirited lecture on board the USF Constellation – 28 Sept. 1982 – photo property of Jos. Morneault. Danny Spooner – The man with the voice and the concertina, and one of my favourites! Geoff Kaufman – Local balladeer with a sweet voice, a kind heart, a social conscience, and quite the following. 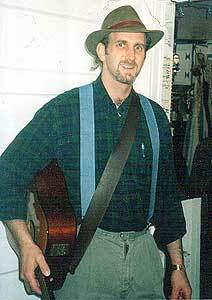 Stuart Markus is an ol’ friend who pops in every now and then: singer/songwriter/chanteyman. Pay the man a visit! 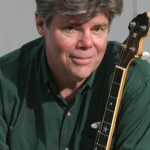 Jeff Warner is another heavy hitter in this genre… A major contributor in this field and he has a resume longer than your arm and you will find him on many recordings going back to when… You can find him everywhere there’s a festival but he’s most often at home in Portsmouth, New Hampshire. 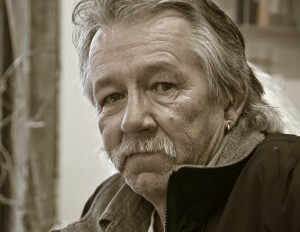 Ken Sweeney has been a regular face at our Gris nights in the past. But while his own schedule doesn’t leave his Mondays open much anymore, he does come on down every now and then. Tremendous concertina and harmonica, banjo and old American songs of vagrants and trains and the sea, a man not to be missed. 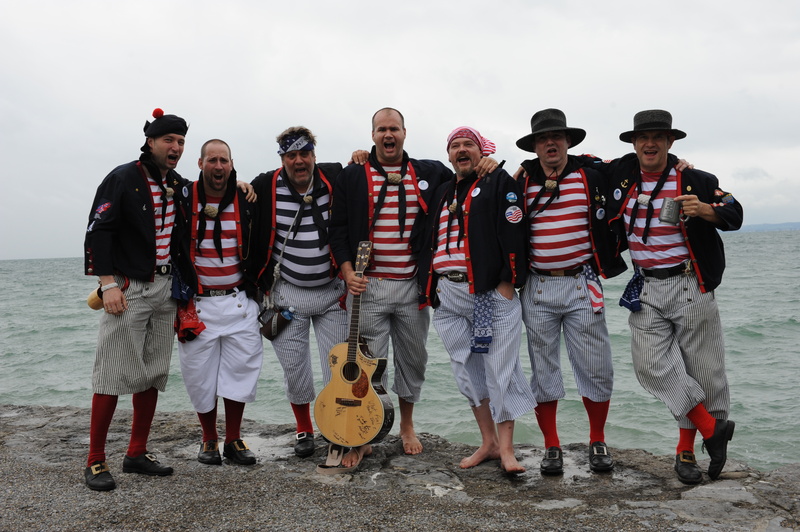 The Swiss Mariners of Basel, Switzerland have put together their own group what sings songs of the sea abd the pub! 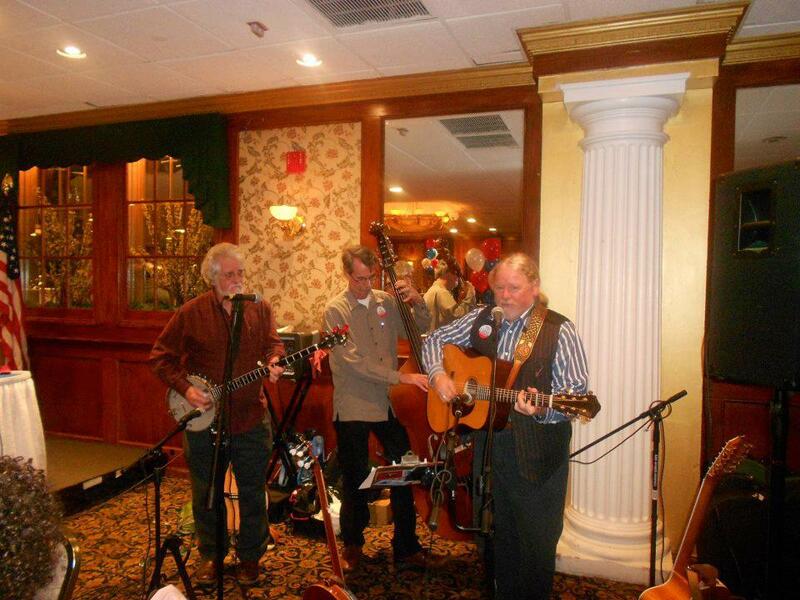 They performed at our Griswold Inn in 2013 and brought the house down! Golden Hind Music is where you can learn more about John Roberts and Tony Barrand. Salty Walt sometimes comes on out from the Left Coast for the sea music fest in Mystic or just to pay a visit. Good man, good songs. 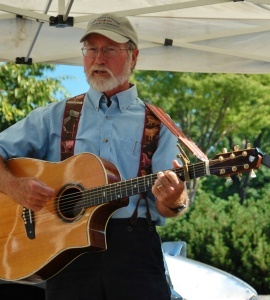 Bob Wright and Harbortown – “Where Mountain Music Meets The Sea” Great music covering all types of traditional and contemporary topics, touching a great deal on the maritime tradition around NYC and in particular, Staten Island. Marc Bernier is a regular face at Mystic Seaport and often appears in local shoreline pubs as well as the fife & drum scene. 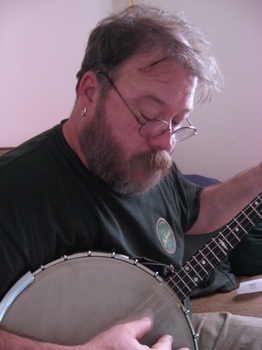 Jon Campbell is a poet and prolific composer of songs of social significance from the perspective of the working man making his living near and on the sea. He’s a good man to look up and sit a while as you take in his perspective… One of the few singers in this genre who actually worked the sea. The Johnson Girls are an all woman a-capella group long known in this genre, some of which are also solo performers or with other combinations and even appear from time to time at the Gris as our guests. The Rum Soaked Crooks – Tom Goux, Jacek Sulanowski, Dan Lanier and Iain Geddes: They’ve been a fixture throughout New England for forty years if a day! Sea songs and stories, historical and contemporary, performing at festivals and maritime events across the country and in Europe, and have recorded on the Smithsonian-Folkways and Whaling City Sound labels. 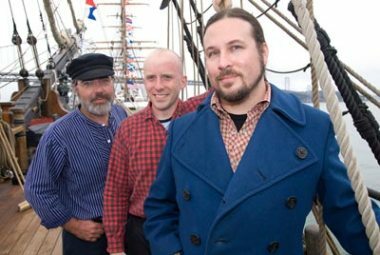 Their repertoire spans three centuries of seafaring songs and poetry, featuring an exceptional sampling of Cape and Islands sea songs and poetry. 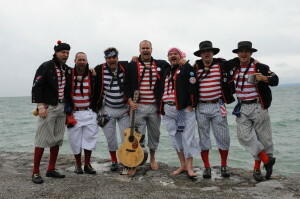 Rum Soaked Crooks performing at the New Bedford Pirate Invasion, 11 July 2015.
http://www.singshanties.com/ If you find yourself in the NW corner of the country, you might want to look in on these guys – The Sea Shanties Song Circle. 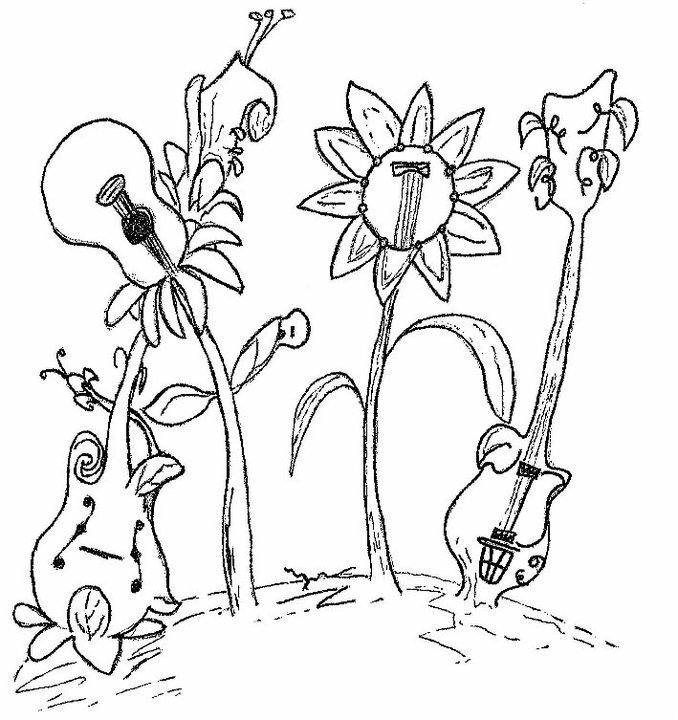 The Old Salt Blog is a good resource for the music, background, and other interesting tidbits. The Amples is a band formed of friends of ours associated with the GPSCY crowd and they’re very good! The tradition sometimes takes a modern turn for the next generation and a band from Rhode Island called Sharks Come Cruisin is a quality example of this… So many of the folk clubs in the UK present the traditional songs this way for the taste of younger generations. One of the oldest inns in the US: The Griswold Inn, Essex, CT. And their facebook page. And their store. And the history of the establishment. The Connecticut River Museum is also a friend of ours and a nice place to visit and work up that appetite before stepping into the Gris. The Gryphon’s Pub at GPSCY is our home in New Haven County. We’re there every couple of months or so. Not generally open to the public, it being a Yale post-grad hangout, but sometimes they throw open the doors, particularly when we’re there. Keep a weather eye on our schedule to see when that is! Our team for recording (and we can be rather picky) is Tony Thomas of TNT Productions and Bob Nary of Suite Audio & Video. Branford Folk Society hosts a series of wonderful performers… You should consider checking out their page and coming down for a concert or two or three… Support folk musicians and folk music will thrive! 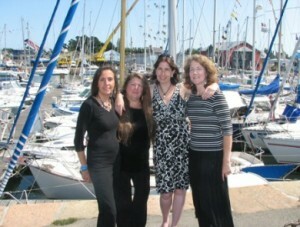 And this is a link to the UK band who shares our name… Jovial Crew Country Dance Band. And yet another! The Motley Crew aka “The Jovial Crew”. If you have an interest in the background of some of these songs besides what I write here, you should pay a visit to Wild Chants with Doggerel Words. 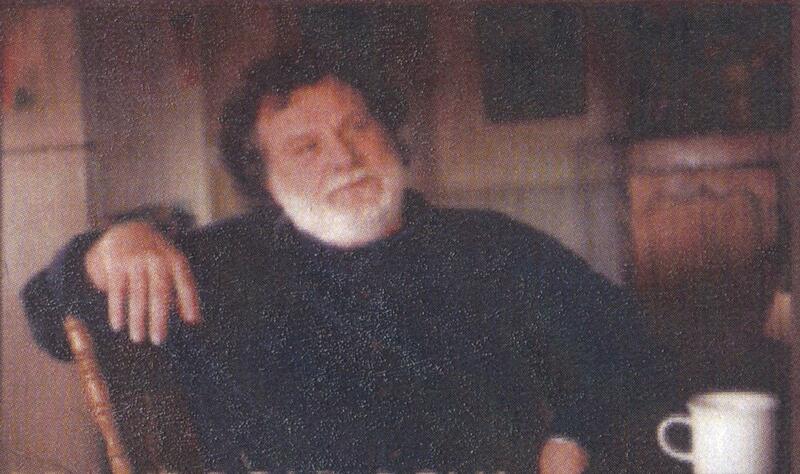 I was wondering if you could get me an email address or some other contact information for Thomas Wolf. 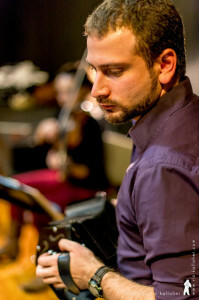 I know this may be a long shot but I saw on your “meet the band” page that he played for a bit in the Reilly Clan. My dad used to absolutely love their music but seems to have misplaced one of their older CDs. It is completely impossible to find it online so I was hoping that Thomas might be able to point me in the right direction. I’d really appreciate it if you could help me out! Sent you a note on your personal e-mail address.